Who says one person cannot make a difference? 8-year old Jahkil Naeem Jackson from Chicago is proving that even a small person with a big heart can make a difference. Greatly saddened by the homeless in Chicago, Jahkil came up with his very own idea on how he could make a difference. It wasn't enough for Jahkil to pass by the homeless on the streets of Chicago and feel sorry for them. As he stated, "Homeless people need to have more people helping them." 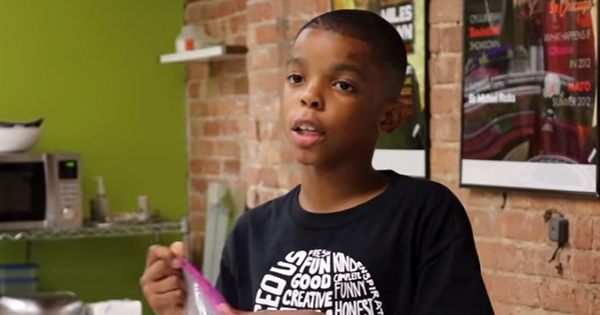 So he created a goal to give 1,000 “Blessing Bags” to the homeless before the end of summer. The blessing bags, full of necessities like toothbrushes, toothpaste, shampoo, socks, combs, bottled water, sanitary napkins, and towels, are personally filled by Jahkil and his family. He and his family hit the streets to distribute the bags, visiting parks and recreation centers where many of the homeless reside. So far, they have given away 735 blessing bags. When they hit their goal of 1,000, Jackson wants to do another 1,000. There are a reported 6,786 homeless people in Chicago, as of 2015. Jahkil may not be able to end homelessness in Chicago, but he is proving that even one person can definitely make a difference. In addition, what a fine example this young boy is showing others with his display of generosity, kindness and empathy toward others.